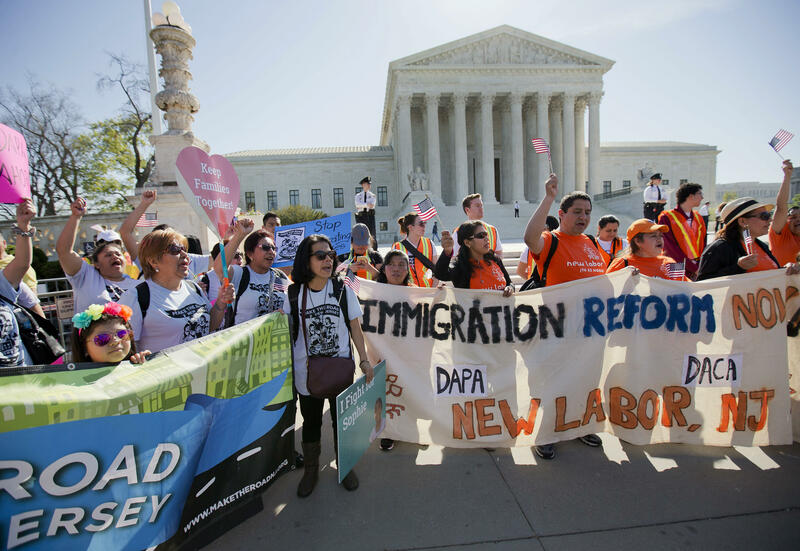 The Supreme Court on Monday said it was denying the Obama administration’s request to rehear arguments in the case involving President Obama’s 2014 executive actions on immigration. In a long list of orders for the high court’s new term, it put United States v. Texas under the group “rehearings denied” and it provided no explanation for the decision. This comes 35 days before the 2016 election. In June, the high court revealed it had tied 4-4 in the case in which 26 states sued Mr. Obama over his 2014 executive actions to grant 5 million undocumented immigrants a reprieve from deportation under the Deferred Action for Parents of Americans and Lawful Permanent Residents (DAPA). The states also challenged an expansion of Mr. Obama’s 2012 program, the Deferred Action for Childhood Arrivals (DACA), that deferred deportations for people who came to the U.S. illegally as children. The programs were put on hold last November by the the 5th U.S. Circuit Court of Appeals in New Orleans, which upheld a Texas-based federal judge’s injunction against the executive actions. The high court, meanwhile, still has one vacant seat that was previously occupied by Justice Antonin Scalia, who suddenly died in February. In March, Mr. Obama nominated Merrick Garland to the Supreme Court, but Senate Republicans have refused to hold a nomination hearing or votes because they want voters to decide the court’s future in November. It’s unclear whether Senate Republicans might reevaluate their position in the lame-duck session following the election on Nov. 8. Hillary Clinton has vowed to defend Obama’s immigration programs and suggested she would go even further. She said she also would call on Congress to pass comprehensive immigration reform that includes a path to citizenship. Donald Trump, by contrast, has blasted Clinton’s positions on the issue, and has promised to build a wall along the southern border with Mexico and to deport undocumented immigrants if elected president.